​Dumb Ox Ministries works with teens, young adults, and families; cultivating their authentic masculinity and femininity through the Theology of the Body, helping them to prepare for, discern, and pursue their unique vocations to love. ​Recognizing that the cause of a lot of hurt and confusion in our world stems from a profound lack of knowledge and security in our identity as created in God’s image and likeness, we at Dumb Ox Ministries proclaim Christ’s power to free, heal, and restore every person to knowing, understanding, and living in this true identity through His body, the Church. God invites each individual to share and live in His love in a unique and unrepeatable way. It is through answering this invitation that every person finds his or her ultimate fulfillment. Firmly rooted in Blessed John Paul II”s Theology of the Body, Dumb Ox seeks to give teens, young adults, and families the tools they need to live authentically the virtue of Chastity, through which they can discover, pursue, and live out their own individual call to love with Christ’s love, their vocation. Dumb Ox evangelizes in this way by facilitating group retreats, parish missions, and diocesan events, ministering to people through one-on-one mentoring, multimedia, live music, and dynamic speaking. 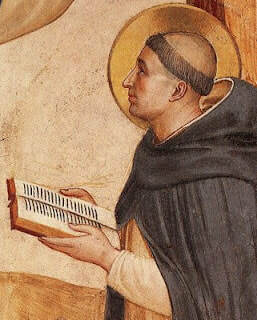 Dumb Ox Ministries affectionately takes on St. Thomas Aquinas, “The Dumb Ox” as a patron and model in our ministry because of his passion and desire to live out the virtue of chastity and pursue God’s call in his life. Because of his fidelity and cooperation with God’s grace, the Church has received one of the greatest saints and theologians who has ever lived.